Positioning itself as one of the most affordable Web hosting options on the market, iPage's hosting plans are cheap to get started with thanks to a big 75% discount on your first month of use. iPage claims to respond to calls within an average of a minute. With 24/7 support available via email, chat and a US-free phone number, users are generally impressed with iPage's customer support. The provider does seem to go the extra mile with support services, offering an extensive online help section, an effective ticketing system for customer issues and thorough QA testing of their staff to ensure they know their stuff. 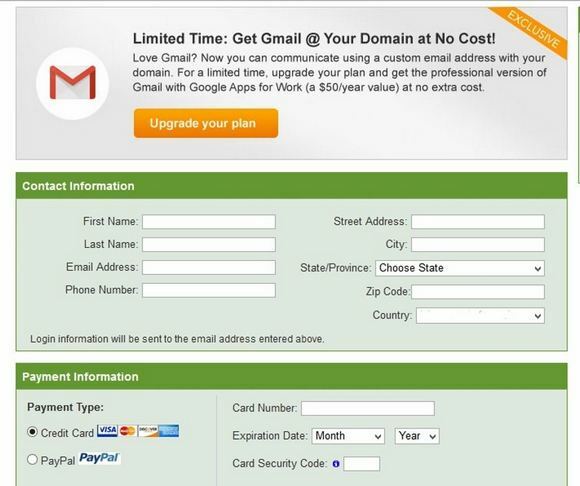 Save some cash on your hosting purchase when you use an iPage coupon code at checkout. Though this company’s plans are relatively affordable, you can hang on to a few extra bucks each month by searching the web for iPage coupons. Though these offers are usually only good for new customers, and generally only for the first year of service, existing customers can sometimes qualify for iPage discounts, as well. So be sure to keep your eyes peeled for these great deals. iPage has a ton of great tools and services to offer, but like all of the other top hosts on the market, they come at a price. Fortunately, that price isn’t too high and, when you purchase any hosting plan, the company throws in a domain name for free. iPage also offers free trials of some of its products, though the hosting plans do always have a price attached. With iPage, cPanel software isn’t offered as a part of any package, but the platform does have a similar offering that’s every bit as easy to use. Rather than using that traditional back-end program, the iPage control panel is powered by a tool called vDeck. And while vDeck may not have as long of a history as cPanel, you can still use the interface to manage a multitude of settings and options in an environment that’s very similar to the cPanel and just as easy to use. You’ll find the company’s custom control panel easy to use and manage simply scroll down to find the function you're looking for. There is also a built in FTP account, which allows for the easy uploading of additional files, images, products, video, audio, and more. As a customer, you will also receive an unlimited number of MySQL databases, which is terrific for using catalogs and other query-driven sites. To top it all off, you can use iPage’s IMAP settings to ensure that your inbox works exactly as you’d like it to. If you’re in need of a hosting plan that gives your website the flexibility of a dedicated server, but at a fraction of the price, a virtual private server (VPS) could be just what you’re looking for. With an iPage VPS plan, you can install nearly any type of software on the system, and configure it in any way you’d like. VPS plans don’t always offer the same degree of speed as dedicated options, but that shouldn’t be a deal-breaker for most small-business owners. 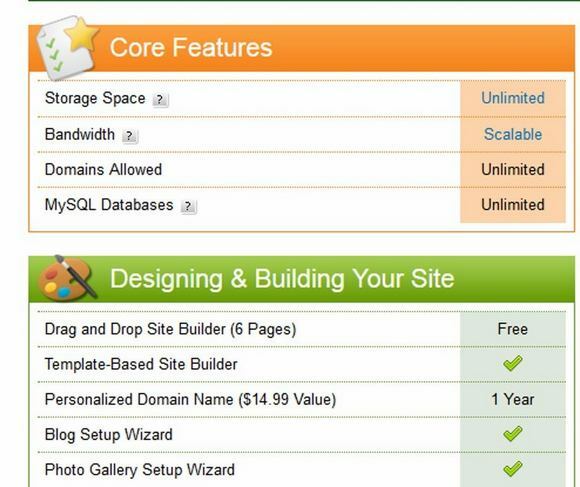 Similar to most of the other top Web hosts, iPage offers an ever-popular shared-hosting plan. One difference, however, is that this company only has one type of shared plan, and with no option for month-to-month payment, so you’ll need to sign up for at least a year of service in advance. Once you’ve done that, though, you’ll have access to a Linux- or Windows-based server that’s easy to use and offers a ton of great add-ons. If you seek speed, power, and complete control, an iPage dedicated server should be right up your alley. The dedicated hosting options available from this company hold their own in comparison to the Web’s other top hosts, and the cost of iPage’s packages are right on par with the rest as well. There’s nothing especially noteworthy about this platform’s dedicated plans, but if the success of your business depends on your website being accessible and responsive at all times, a dedicated server on iPage is certainly worthy of consideration. If you like to live on the cutting edge, and aren’t apprehensive about using the latest technology, you might want to look into iPage’s cloud hosting offerings. Cloud hosting is the latest innovation in the industry, and one of the fastest growing types of hosting. When you choose to host in the cloud, a variety of servers will work together to keep your site online rather than relying on any single machine. This often means that your site will enjoy more uptime, though some users have expressed security concerns based on the dynamic nature of cloud hosting. In any case, the cloud hosting plans on this platform are worth exploring if you’re looking for fast, affordable hosting. Get the most out of your inbox when you use iPage mail to manage your messages. No matter how you prefer to send and receive email, this platform has excellent options when you sign up for any of its hosting packages. Check email on the go by means of iPage’s webmail interface, which is accessible from any Internet-connected device. Just type in your iPage login and password, and you’re good to go. And if you’d rather use a more traditional email client, such as Microsoft Outlook, iPage makes it easy to ensure that you never miss a message. As far as this iPage Web hosting review is concerned, the wealth of features and freebies at a very reasonable price has to be this platform's biggest selling point. But there's more to this budget-friendly service than bargain pricing. If you can get past the unattractive, slightly confusing front-end, you'll find strong customer support and lots of options for everyone from e-commerce sellers and personal bloggers, to first-time users and experienced webmasters. 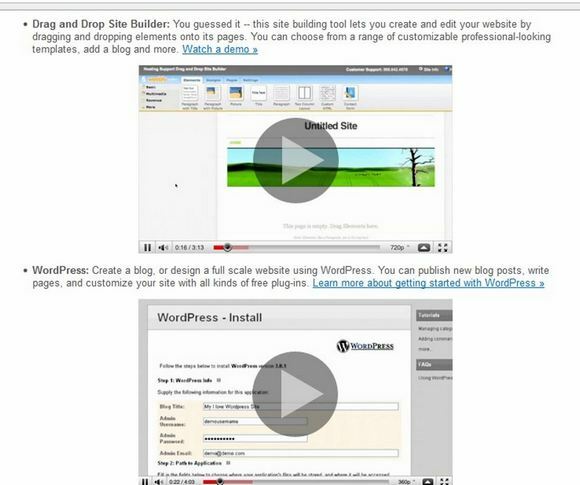 The integrated drag-and-drop Weebly site builder makes getting started easy for beginners, while scalable bandwidth and MySQL databases make this an affordable option for experienced users with significant demands.